We are so close to the upcoming Thanksgiving holiday and hopefully some R&R! 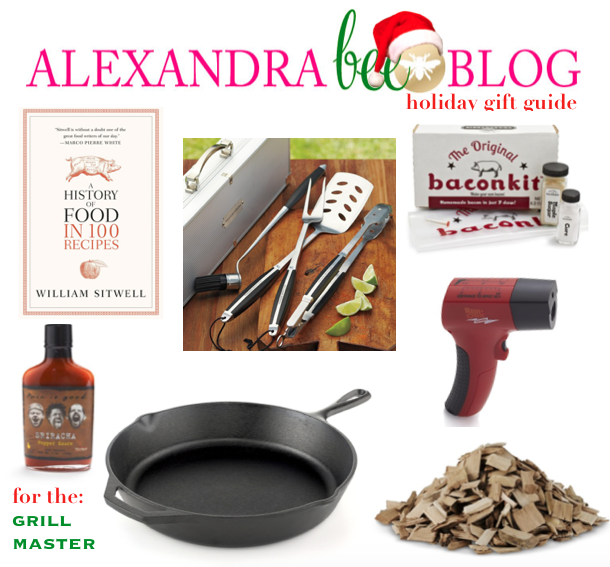 Today I am excited to bring you my holiday gift guide for the gents! 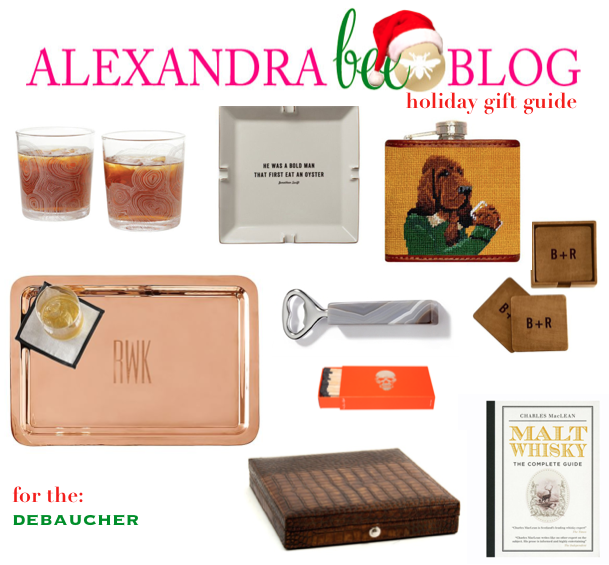 I've got you covered with lots of finds to please the men in your life! Some of these picks are among Bryce's personal favorites and others include things he might even find under the Christmas tree this year! Keep your athlete happy with sporty gifts for on and off the court! If your man is all about the finer things in life (aka expensive booze & cigars), I've got ya covered! Please the grill master in your life and you're guaranteed a full belly! 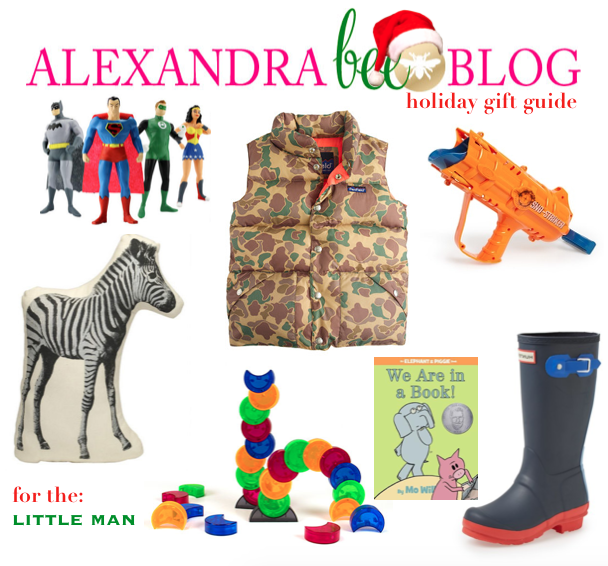 And finally, for the little man--spoil him with gifts that scream fun and playful! 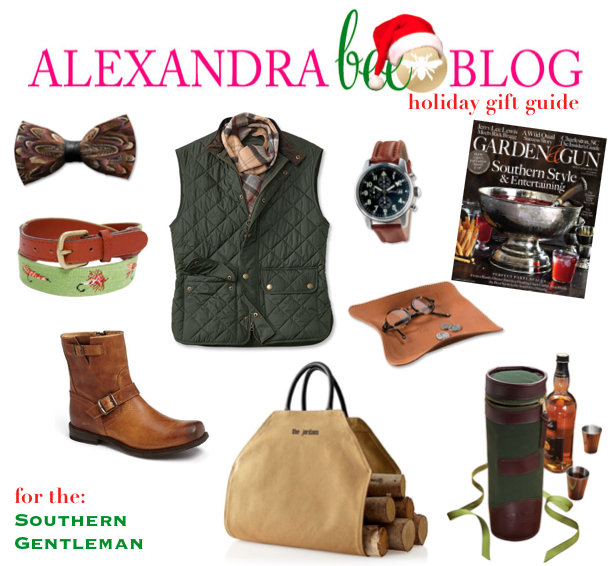 I have also created a Pinterest Holiday Gift Guide: Gents board. Follow to see even more gift ideas now and throughout the holiday season! What men do you have to shop for this year? Do you have a favorite guide? I'm partial to the Southern Gentleman (surprise, surprise! ), Debaucher, and Little Man boards myself! Thanks for the tips! My boyfriend would definitely fall under the Southern Gentleman category (or at least he thinks so because he went to USC!) and I am thinking about getting him a vest, so I am glad you posted this! wow! lots of great ideas for the men. I always find my husband is so hard to shop for and i always end up buying him clothes. So many great ideas! I feel like all of the men in my life are the hardest people to shop for and there are so many things to choose from here!! i've got a grill master! those are great ideas! Allie, you've done so well.